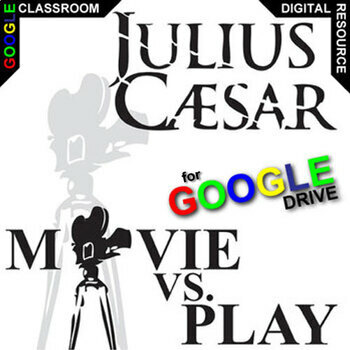 Our Julius Caesar Film vs. 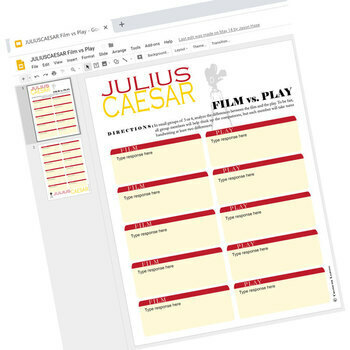 Novel Comparison contains a 2-page Google Drive organizer that will help your learners compare the novel to the film. How is the movie different? After reading the novel, learners will view the film and analyze the differences. This opens up a bunch of fun and critical-thinking conversation about why the film-makers would change parts of the novel for the film. They are, after all, two different works of art. 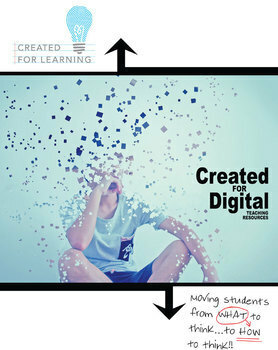 This Created for Digital resource can be purchased as part of JULIUS CAESAR Digital Unit Novel Teaching Package (coming soon...). Et tu will enjoy Julius Caesar! But beware the Ides of March!